Set on an Ivy League campus, Dear White People documents racial strife that culminates in a ‘riot’ after a predominantly white group of students host an African American themed party. 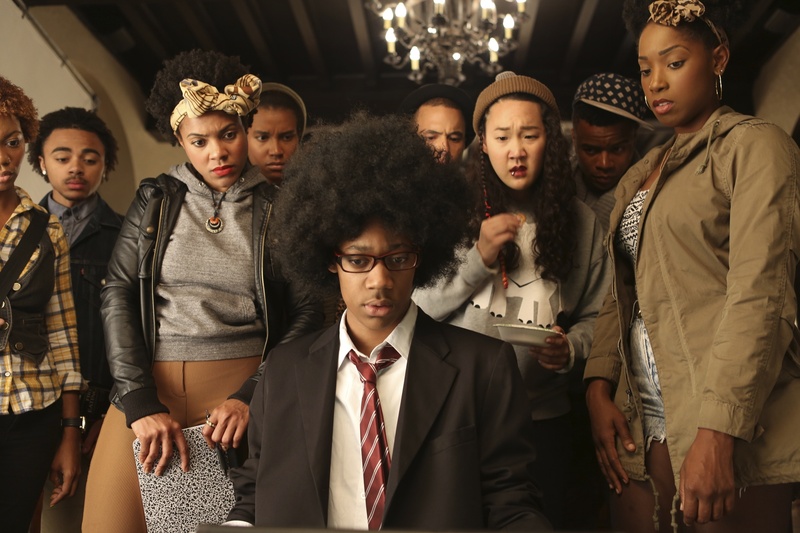 A satire more than a comedy, Dear White People raises some important issues regarding race in the contemporary United States during the Obama administration. Like Lee’s Do the Right Thing (1989), Dear White People is an attempt to explain the systemic nature of racism and how that impacts and affects the lives of minority groups. The film is set on fictional Winchester University’s campus and the narrative involves the story of four black students who study there. It’s a strong directorial debut from Justin Simien who challenges audiences with the content of his film. But it’s not just a diatribe. Actually, Dear White People is a carefully provocative movie that reflects in its own form the transformation of its most militant character. The end result is a film that (if you let it) will quietly express a perspective that is rarely heard. In essence it doesn’t matter how well plotted or acted this film is (although both are very good) because the sad truth is that this is a story with characters that grace our screens far too infrequently and simply due to its narrative concerns it becomes an important and subversive film. We’ve all seen the ‘traditional’ college experience depicted in any number of Hollywood movies but in Dear White People the story has a different latent meaning. Our characters in Dear White People are Sam White (Tessa Thompson) who is a politically motivated film student and she runs the radio show titled “Dear White People,” there’s Lionel Higgens (Tyler James Williams) who plays an introverted journalist keeping his sexuality to himself, then there’s Colandrea ‘Coco’ Connors (Teyonah Parris), a Youtube blogger with a desire to be a reality TV star, and Troy Fairbanks (Brandon P Bell) who is a popular student, the son of the school’s dean (Dennis Haysbert) and a young man driven towards student government who hides his weed smoking from everyone else. Our characters embody specific tenets associated with current African American culture. Their day to day struggles are all slightly different and their views on racism and white superiority are markedly diverse. For some they try to simply fit in and ignore the social lines drawn by colour, and for others they actively fight to voice concerns relating to their treatment. What is perhaps most notable however is the fact that most of the folks in Dear White People suggest that racism no longer exists, and that those fighting it are simply people who love conflict. But what does become clear is that in the fictional Ivy League school that they attend, racial problems do exist. This is compounded by the provocative radio show titled Dear White People. Some of the white trust fund kids take offense at the tone of the broadcast and it prompts several notable confrontations. This includes white people being chased out of a black dining hall in a clever narrative touch that visually reverses the metaphorical tables, and then of course there is the response to the show itself. A predominantly white run fraternity house decides to throw an African American themed party dubbed ‘Pastiche.’ The theory isn’t that questionable but in practice it is. Our frat boys decide to invite guests to ‘dress up’ as African Americans with some support from two of our black heroes. This is part of the skill in the narrative choices of Dear White People – nothing is quite clear cut. But once more that is a comment on the systemic nature of racism in contemporary culture. It’s so endemic that it becomes almost impossible to spot. We’re left with cliques of white people who can’t see the harm in pretending to be from a minority that they don’t belong to. For them however the costumes can come off and they can go back to lives of privilege but those that they are spoofing have to experience their culture being denigrated once more. This is the strength however of Dear White People. Its narrative pokes fun at racial stereotypes regardless of which race they belong to and it presents a compelling argument for a reconsideration of the way that we treat others. In essence it is a film that strives for empathy and to show that the struggle to find your identity is a human one and not just defined by your ethnic make up. 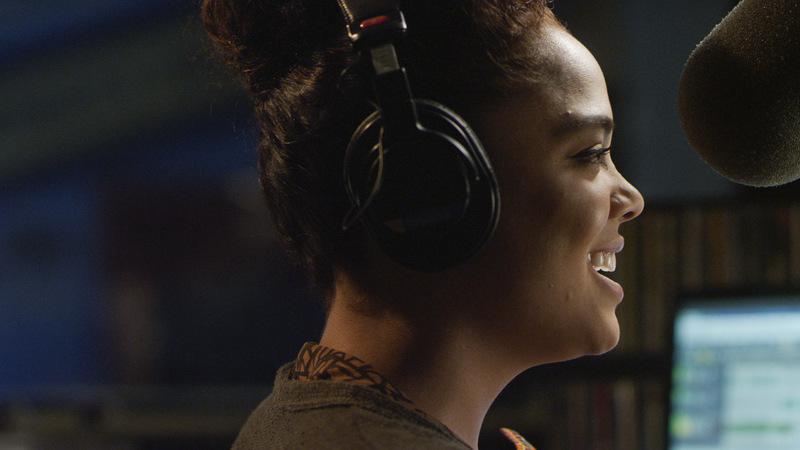 It’s an effective film and a strong directorial debut from Justin Simien. It has a distinctive indie feel to both the story and the character types represented but what it does best it does by telling stories that we rarely come across. In an era where Boyhood (2014) stands as an indicator of growing up white (and male) in contemporary America, it’s high time that we told stories about the ‘other’ and it’s important that we remember stories like Fruitvale Station (2013) before we jump to conclusions about Dear White People. Dear White People is a confident first feature from director Justin Simien and on the back of Neil Patrick Harris’ “white jokes” at the 2015 Oscars and the distasteful American Sniper, it is a refreshing film that challenges our white-centric societal and filmic narratives.